This post has been compensated by Collective Bias, Inc. and its advertiser. All opinions are mine alone. The first time, yes, the first time, that I discovered that my daughter had head lice I immediately went into panic mode. My day came to an immediate halt and I quickly began to research everything online that had to do with head lice. I then went to my local pharmacy and stared at the wide variety of lice treatment products. I was confused and in shock, but I was not brave enough to talk to a pharmacist or store clerk because, to be honest, I was embarrassed. I was embarrassed that I could not keep my child’s hair clean and that she was having to endure the uncomfortableness that head lice create. 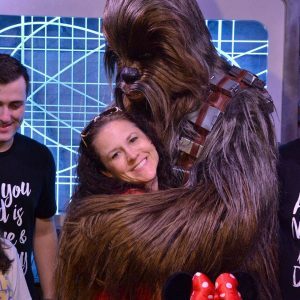 Thankfully, however, after my daughter’s first bout of head lice, I learned a lot, which I was thankful for when she got head lice again a few years later. If you have a little one that comes home with lice, here is what you need to know about treating head lice. The process of treating head lice is not only extremely time consuming but stressful. Head lice can consume a parent’s life as well as the child’s life. 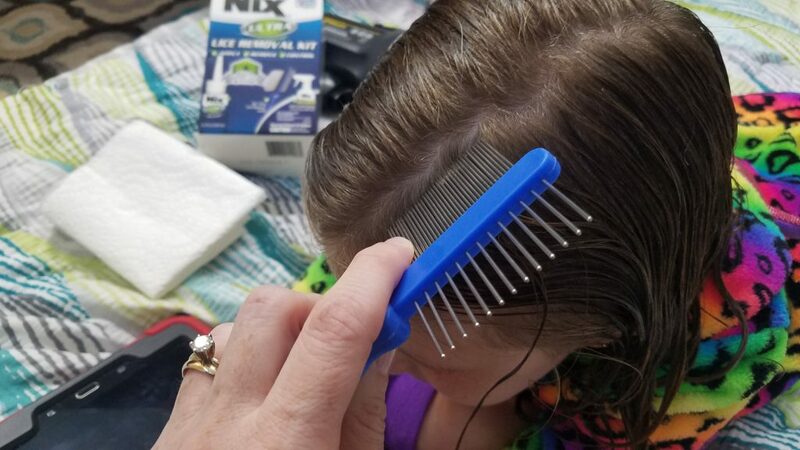 The moment that a parent discovers that their child has head lice, is the moment that head lice are the only thing that the parent can focus on until it is out of their house and no longer in their child’s hair. 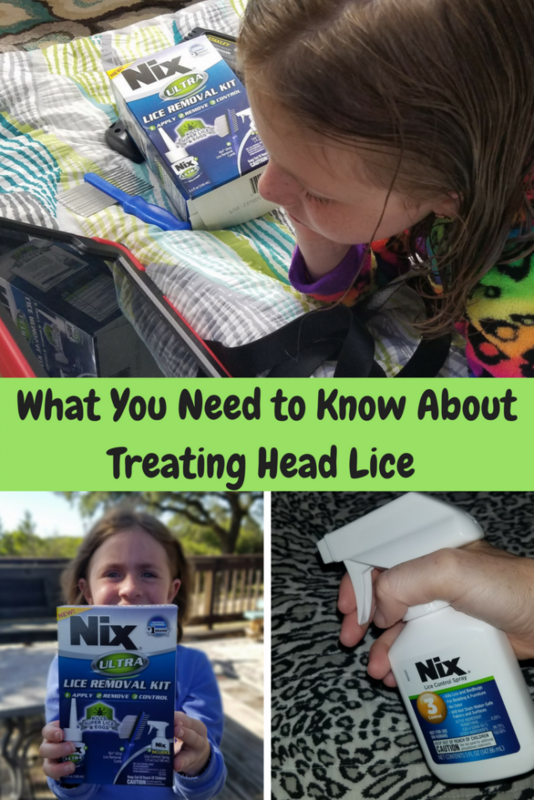 As a parent who has had to treat a few cases of head lice in my kids, I want to share some things that you may need to know about treating head lice. No matter how clean your house is or how clean your child’s hair is, your child can still get lice. If your child goes to daycare or to school, it is important to report to the nurse that your child has lice so that they can treat nap mats and be on the lookout for other kids that might be affected. It is also helpful for others if you go to the Nix Lice Tracker and report that there was an outbreak in your area. It is confidential and is used by parents and schools to track the spread of head lice. Bed sheets need to be washed in hot water and can be treated, in addition to furniture, with Nix® Lice Control Spray. This can be found in packages of the Nix Ultra® Lice Removal Kit which can be purchased at Walgreens. Everyone in the household should be treated, even if you do not see any evidence of lice. You need to either clean and boil hairbrushes and combs or have them replaced. 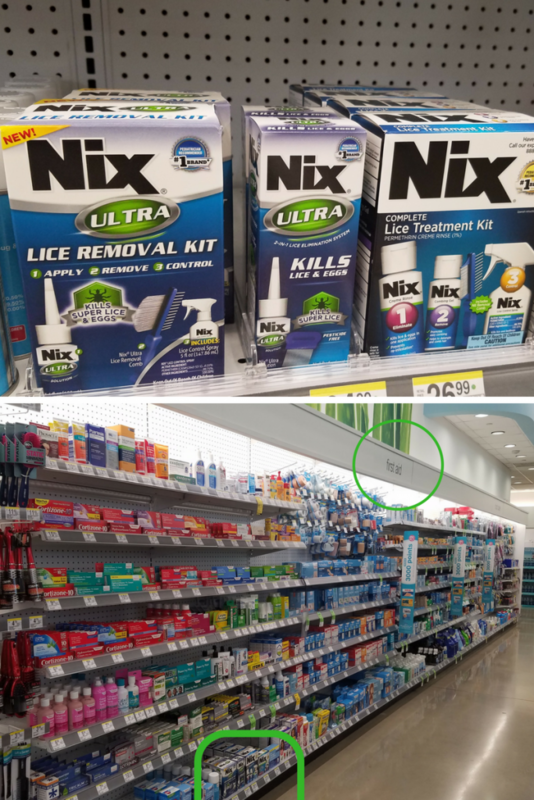 When I have a child come home with head lice, I immediately go to Walgreens and purchase a Nix Ultra® Lice Removal Kit. This is my go-to head lice treatment solution and it can be found on the first aid aisle. If you cannot locate it, please do not be embarrassed to ask a Walgreens store representative. You are not the only parent that is or has had to deal with head lice. 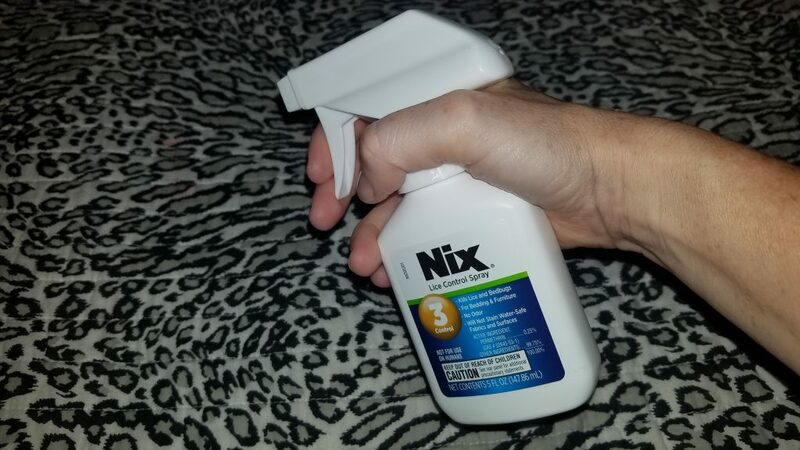 Before you go to your local Walgreens, make sure that you print a coupon for a $3.00 OFF any one (1) Nix Ultra® product, here. If you print this coupon make sure that you use it within 2 weeks because once the coupon is printed an expiration date will be generated. Before you treat your child for head lice, please read the instructions on the box thoroughly. If you have any questions there is an expert hotline phone number on the back of the box. When you begin treatment, you will need Nix Ultra® Lice Removal Kit, a well-lit room, possibly a flashlight that wraps around your head, paper towels, a trash bag, and entertainment for your child. 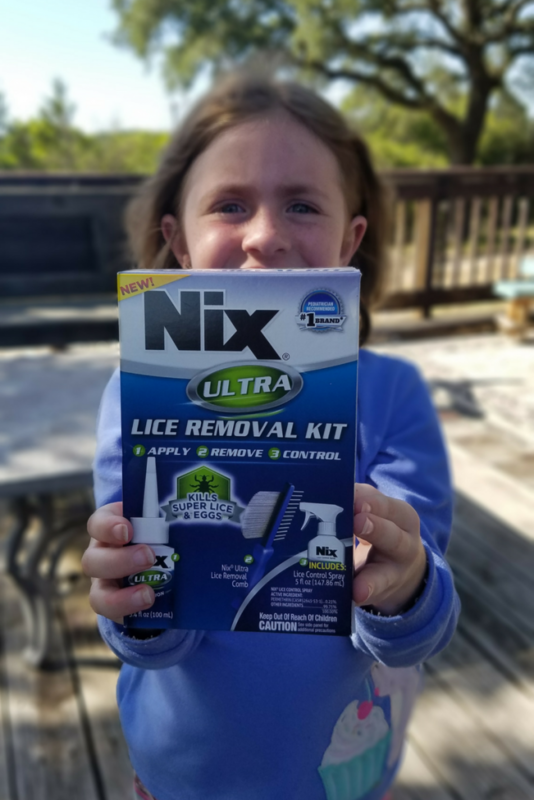 Click on the picture below to purchase the Nix Ultra® Lice Removal Kit. Combing through your child’s hair is a very long process, especially during the first treatment. It is important that you make your child comfortable and be very patient with them if they begin to become anxious. After you treat your child’s hair, continue to comb through their hair and check for nits and lice over the next 7 days and remove any that you might see. It is very important that you do this because if you continue to see any you will need to repeat the process. If your child comes home with head lice it’s important that you use a lice treatment product that works the best to treat head lice. I have always used Nix Ultra® because it’s non-toxic, easy to apply, fast and effective and it’s the #1 Pediatrician recommended brand. Make sure that you remember to go —-> here <—– to print a $3 OFF any ONE (1) Nix Ultra® product that is valid through 3/31/19. In addition, it’s important to remember that if your child has head lice that you treat it immediately and not feel embarrassed. Has your child come home with head lice? What was your experience? We learned that they love clean hair which made my daughter feel better. When she got them she was mortified and thought she was a “dirty kid” we also learned to put her stuffed animals and small pillows in a garbage bag and hang it outside in the garage for a week. Helped to kill any chance of lice spreading by those. The treatment after 7 days is crucial. YES! Not too long ago I was washing my child’s hair and said ‘We need to get your hair super squeaky clean’ and she said ‘But then I’ll get lice!’ Too funny. I had no idea you needed to look for 7 days! Thanks for sharing this – pinning to share but I think I’m going to just grab a box as a just-in-case. It’s probably a really good idea to have one on-hand during the school year.